It's been something of a goal of mine for quite some time to own a ukulele from this musical instrument builder, and recently I was lucky enough to snag one. Say hello to my new handmade mahogany soprano ukulele from Mr Ken Timms. This particular model was completed by Ken in October 2017 and is modelled to reproduce the main features of the Martin Style 0 ukuleles made between the 1920's and 1950's in the USA. In fact it's SO closely modelled, that I'd challenge many people looking at it from the front at a distance to not be confused into thinking it was a Martin. Now I have had made my views well known on copy instruments before, but you will recall that my view was that if you are going to do it - do it WELL. Kiwaya do it very well and I praise them highly for it. Some brands do it far less sympathetically and I wish they would stop frankly. Where does Mr Timms fall? Lets get into the meat of it. This is a double bout soprano made from all solid mahogany with that ultra curvy and rounded shape on the two bouts which is very traditional and totally gorgeous. It's a paler wood than others of his I have seen but still extremely pretty with a typical mahogany grain of straight runs mixed with the occasional swirl. In the flesh it's actually a bit darker than the photos here show and much more brown, but the photos were taken in full sunlight. It has no other body decoration other than an inlaid sound hole rosette just like the Martin Style 0's and looks great for the simplicity. I should add in a side word here about the rosette and about Ken's tooling methods more generally. As I said above, Ken was previously an engineer and toolmaker and has also become highly respected in ukulele building circles for inventing and creating wokshop tools and gizmos of his own to help with the building process. They include things like his string spacing gauge, automatic kerf cutting machines, but also a clever sound hole cutter he designed that both cuts the sound hole out of the top as well as routing a small channel for the inlaid rosette at the same time. It's fascinating stuff and i'd urge you to visit his YouTube channel to learn more. So this is filled with an inlaid black and white continuous strip he makes himself, and then sands flush. No decals here! Back to the body and the top and back are made from single pieces, with the sides in a pair, and the back has a slight arch to it. Oh and when I say the 'back as a slight arch to it' that's not doing it enough justice either. This isn't just a random pressed back. Ken has put a specific 5 foot radius lengthways on the back and a 10 foot radius widthways as that is how he measured it from the Martins. The engineer approach shines through again! Talk about attention to detail! Bridge wise we have Martin style slotted bridge made of mahogany with a straight ebony saddle. Simple, clever, works, no complaints. Excellent! And the whole body is finished in a Shellac / French Polish finish that is simply flawless. Quite, quite beautiful. Glossy, tactile and really brings out the colour and the grain of the wood. For those that don't know, most modern ukuleles use things like poly finishes (varnishes in other words) or rubbed oils. Shellac is made from the secretions of the Lac bug, dissolved in ethanol to make a liquid that both stains and dries hard. The French Polish process involves adding layer upon layer of the stuff and rubbing each one back to a gloss. It's a wonderful process only really employed by craftsmen. The finishing on these instruments is done by Mrs Timms, and she really should be applauded. It's simply stunning, meticulous and, well, perfect really. Often with hand finished luthier instrument you still get a few obvious tooling marks showing through or rough patches. Whilst I don't mind those so much as it gives them a 'home made' finish, the quality of finish on this is a league above. It's like looking at a piece of priceless antique furniture in a stately home. Terrific. It's not a mirror finish, but then it's never going to be and it certainly wasn't finished in a factory. Inside is as tidy as you would expect with notched linings, delicate braces and a hand numbered makers label. It's nice also to see that there are two signatures on the label, both that of Mr Timms but also Mrs Timms. And rightly so with that finish. This one is number 112, which also lets you know that you are part of a very small club if you own a Ken Timms! EDIT - I have now had it confirmed that the serial number does not indicate the number of ukes made by Ken - the number is still small though! Up to the neck and this is made from a single piece of mahogany and attached to the body with a secure dovetail joint like Martin ukuleles are. The profile is very traditional and shallow and it tapers to a comfortable 36 mm nut. Topping the neck is an Indian Rosewood fingerboard fitted with 12 nickel silver frets to the body joint. Very typically soprano and they are all dressed impeccably well. The outward dots at the 5th, 7th and 10th are in the form of small white styrene dots, and although there are no side dots, that is also a nod to the age of instrument this is duplicating. The neck is wonderful and has the same polished finish, but feels in no way sticky. It just kind of feels,.... old.. and high quality! This is a very good thing. Like the saddle, the nut is made of ebony, giving way to a crown shaped headstock finished in more french polished shellac. Like everything else on the instrument this is wonderfully done too. Tuners.... and what else? We have friction tuners and good quality ones too. I think they are Grover style copies, but good ones based on the 4's or similar. In other words, lot's of washers, metal collars and a smooth tuning experience without overly grippy tension. The button shape is intriguing though and not something you will have seen on the market in the recent half century or more, but there is a good reason for that. Ken takes regular kidney shaped buttons and re-shapes them by hand on his lathe. How nice is that? They look more traditional, they are smaller (and therefore don't crowd the headstock) and you will also be sure that you have pegs that are just 'different' from most others around. Yet for all that - you know that they will still work as intended as it's only the button that has been adjusted. I absolutely love that. The package finishes with Aquila strings, which would not be my first choice to be fair, but, you know... it's just strings innit? Such a boring topic that I am now totally fed up with. They are easily changed and they don't affect the score so long as they are not abominable. And this one was bought by me for £325 direct from Ken. In fact I think his prices have been pretty unchanged for several years and for what you are getting here that is extremely good value. More on how to get hold of one later on. Lets have a play! With the sort of attention to detail I have explained above it will come as no surprise to you to hear that the instrument is supremly light (one of the lightest sopranos I have ever played), supremly lively and resonant, wonderfully balanced and expertly set up at both the nut and saddle. Fit and finish wise I have absolutely no complaints whatsoever. As mahogany sopranos go it's simply perfect. It feels great in the hands and, yes, it smells good too. There is nothing artificial or synthetic coming through here. You know you are holding something that is craftsman made. And like other good quality handmade sopranos I have played, this one feels resonant almost before you even touch the strings. It's like it is dying to play and sing. Almost like it's a coiled spring. 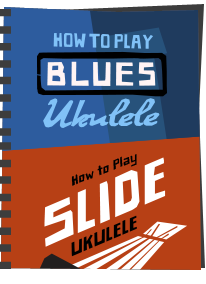 So I knew this was going to have a strong voice from the off, but really, this is about the best projecting soprano ukulele I think I have ever played. It just keeps giving. The harder you play it the more it's got, and it never loses control or loses it's way. Dont get me wrong, it's not all about the punch, as it sounds wonderfully clear and melodic when played softly too, even with just the pad of the thumb. What we are getting at here is wonderfully broad dynamic range. Quality of tone no matter how you dig in. That's something of a holy grail in instruments that not everybody gets right. More often than not I review instruments that sound great played softly and get muddy when driven, or only sound good when driven, but kind of sound bland when played soft. This does both. And it does both very well indeed. This is bright, as a soprano should be but not overly so like some I have reviewed recently. It has a warmth and roundness to the tone that is really pleasing and for me is reminiscent of the significantly more expensive Kiwaya KTS-5 I reviewed. It's a wonderful tone, and one you can easily shape depending on your playing style. And it's comfortable and easy to play too. Like I say, it's like it's aching to be played. And as a final touch, I suppose I should not be surprised that with a build that so closely follows the Martin style that it has the Martin jangle. It really does. And that is the last box of what I want in a good soprano ticked! 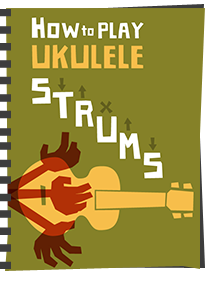 I have read at least three different people online talking about Ken Timms ukuleles as saying that his instruments are the ones that cured their UAS. And I now totally get why they say that. Now I have this, I honestly have no need for any other soprano. 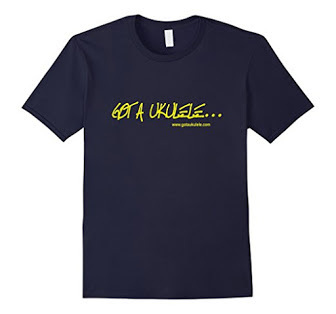 Perhaps I don't have a need for another ukulele full stop. It's simply wonderful. A Martin replica that is anything but a quick knock off, and rather is a truly sympathetic recreation done with an incredible level of care and respect for the original. No it's not glitzy. No it doesn't have a tonne of decoration. But what it is, is a flawless example of a terrific ukulele that does the job it was intended to do wonderfully. And for that reason, (drumroll please) the scoring below puts Ken at the top of all the reviews I have written on Got A Ukulele. Honestly, I don't have a single gripe with it. In nearly eight years of testing over 150 instruments in detail, I've not been happier than with this one. As for how YOU can get one. Well, Ken does not build to order. He builds continually during the spring to autumn months and then shuts down for the winter when he works on his toolmaking. All his instruments go on eBay under the name Squarepeg_3000 and he also ships to the USA and other international places. In fact I know Ken Timms owers all over the globe. If you want to get in touch with Ken you may also reach him via his eBay channel, or via Ukulele Underground or the Ukulele Cosmos under the account name 'Timbuck'. What I will add though is this. Regardless of this review, this is not a sales pitch for Ken. He doesn't need it. 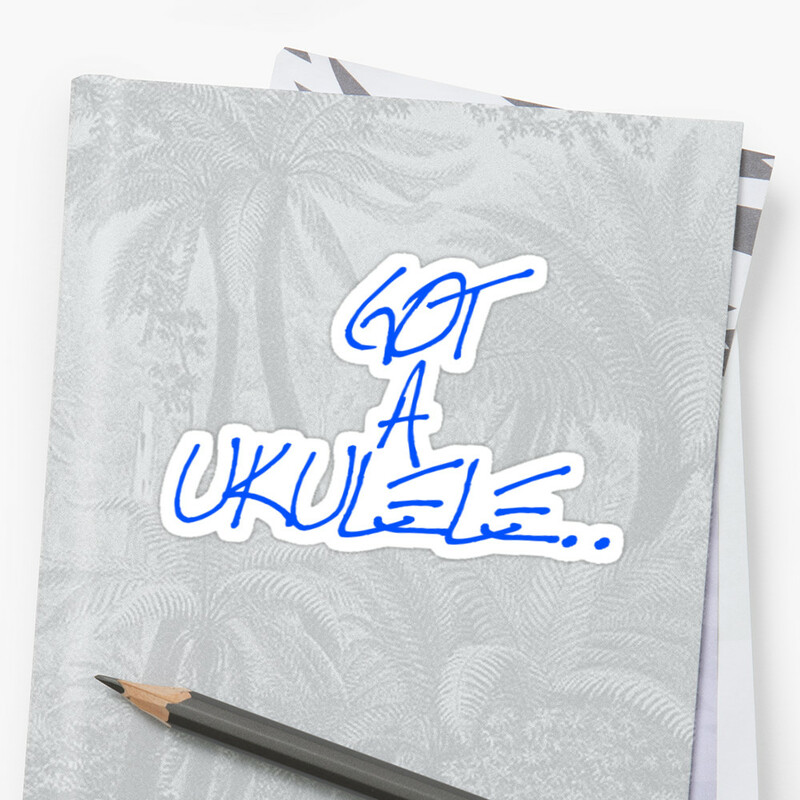 His ukuleles sell themselves and sell extremely quickly. I have missed more on eBay than I care to remember. If you see one - don't dawdle - it will be gone in a flash! So, do I recommend his ukes? I think that much is obvious! If you know your ukuleles you will already know of these and the excellent reputation. If you are newer to ukulele and wanting to step up in the luthier stakes - trust me - these deserve your very serious attention. Outstanding. People have messaged me suggesting the prices of these have risen. They certainly have, but that's not because Ken has chosen to raise prices. He sells via auction so the market decides. So the price listed here was the auction price I managed to snag this one for. You may not get the same result. But the important thing here is what I said in my review above. I would pay twice or more than I did to get one of these - they are worth it. And the score still stands. Really, nothing. I'd change the strings... that's it. Wow! I almost fell over when you mentioned the price. Unbelievable. 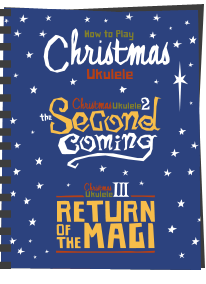 The first two refer to the number of the uke released that day. So if Ken released 3 that day. That number could be 1, 2 or 3. Great review. I have also recently purchased a Ken Timms. It's hard to describe until you get one in your hands. The look and feel is as you would imagine an original to be. It's so light and addictive to pick up and play. I have a nice hard case for mine. 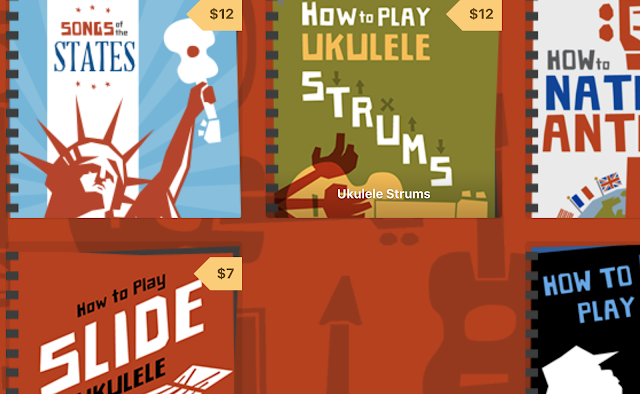 It's got to be the best bang for your buck for a Soprano ukulele. Well, I tried for over a year to buy one of Mr. Timms' instruments on eBay, only to be outbid at the last moment. Then I found a barely used one from a seller in the UK, for just about what my maximum bid had been. While I'm not particularly enamored of friction tuners, the Timms soprano is the first of my ukes with friction tuners that I feel totally comfortable with. I bought my Timms about a year and a half ago, and haven't purchased another ukulele since. I was just wondering the other day how good a ukulele would have to be to get over a 9.5 rating, the previous highest score, Barry. I was very fortunate to buy my Ken Timms style o uke back in 2011 from Ebay and remember coming across it by accident and watching a couple of muppets putting in ridiculously low bids for the uke, and after watching this and thinking about the workmanship and the attention to detail,time and love Mr Timms puts into his art straight away i took that bidding out of their hands, in my mind they're worth every penny and more, a friend of mine who has a Martin had a play on it and preferred it to his, it is by far my best ukulele, absolutely love it, agree whole heart idly with this review and with the change of strings, brown medium worths are my pleasure at the moment which work really well with this uke. Ok Barry - I give in. I have bought several ukes in the past 18 months on your recommendation and very good they have been. Do I need another soprano? That's the sort of question my wife asks when the answer is obvious. No i don't need another but I would really like one of these. The trouble is - and call me Captain Thickie - I can't find out how to contact Ken Timms to order one. Can you please shed any light into my Timms soprano darkness? Having read this review and my 70th birthday in three weeks I decided that I had to have one. Yesterday I received Ken Timm's latest and despite the praise in this review I just can't believe what I held in my hands. It is truly a work of art and sounds absolutely sublime. It's back in the box until my birthday so nothing more to say for now. I've been anxious for a couple of years now, that when you finally, inevitably, got a Timms to review you wouldn't value it as highly as I do mine. I needn't have worried, clearly. And I know you would approve of the loved and lived-in appearance of mine. 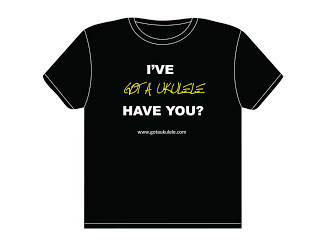 Mine cured UAS to the degree that I sold my others with the exception of my Pete Howlett soprano Marmite - so get on with getting your hands on one of those for review, and I might be able to claim I own only ukuleles that have been highly praised by Barry Maz! (Or borrow mine for the review - I'm pretty local). As another guitarist now in love with the ukulele, I had gradually progressed from the cheap end of things to a nice 1970s Aria laminate soprano - loud and raucous - and an Ohana CK35, solid mahogany concert - quiet but warm and refined. Having turned 50 and been forced to give up both work and play (bands, jams etc.) due to long term illness, I treated myself to a second-hand Ken Timms ukulele and it truly is a gorgeous instrument, with refinement, warmth, volume, balance and the almost guitar-like sustain I had been missing a bit in ukuleles. I haven't ever had the opportunity to try other high end ukes but have always thought it would surely be difficult to improve on this little gem, so it's great to hear your confirmation of this. Despite my poor health, I pick up my Timms every day, even if only for a couple of minutes, and its glorious sound gives me a warm glow. Thanks for this great review. I have a question. How are the frets? As thin as Martin and Kiwaya or a little thicker?